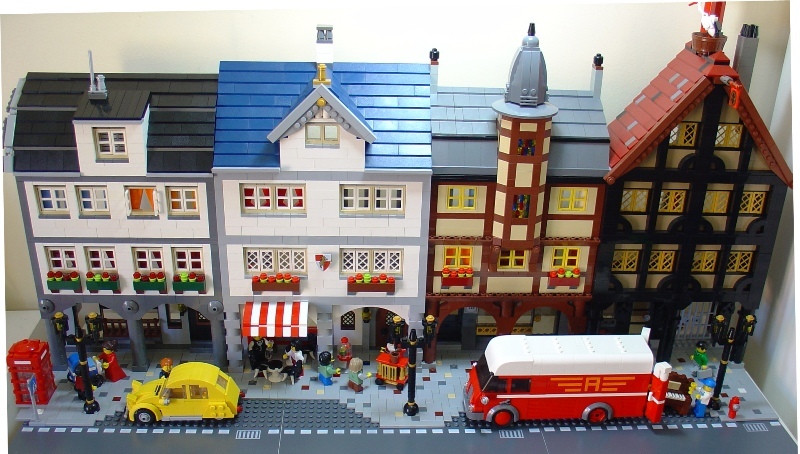 Brick Town Talk: Par Excellence - LEGO Town, Architecture, Building Tips, Inspiration Ideas, and more! France, 1967 - (BTT) We seem to be spending a lot of time in l'Hexagone as of late, and for good reason. This quaint street by the train station just oozes the kind of architectural charm the country is synonymous with, and the yellow Citroën parked out front adds an extra dash of local flavor to an already postcard worthy scene. Please feel free to join the discussion at the Eurobricks forums.